We fell in love with this forgotten corner of Provence one Sunday in September 1997 when the local cycle race obliged us to take a detour through the vineyards. Some years later when we decided to leave the City of London behind we were drawn back to this beautiful area. We purchased the old farm buildings and surrounding land and vines in 2006 and created the Domaine in 2007. 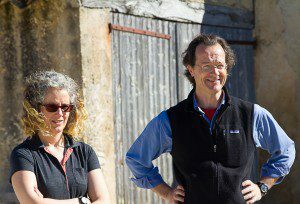 We both work full time on the Domaine where we are assisted by a viticultural consultant, an oenologist and a seasonal worker at pruning time. Having discovered from a former owner that part of the buildings served as the local school in the 1950’s and 60’s the name for the Domaine was obvious! 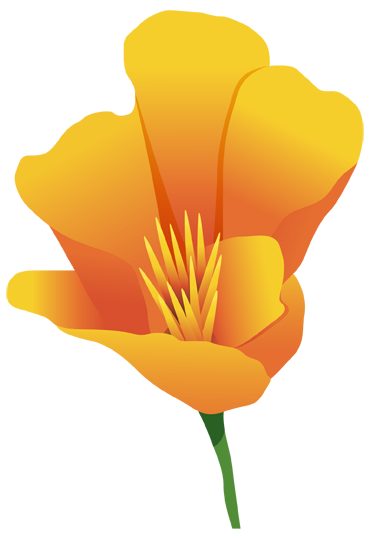 Our logo is the Californian Poppy (Eschscholzia Californica). 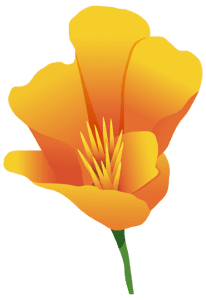 It is a flower which we love and which we saw growing in the vineyards in California, we have it growing everywhere here now too! We believe that this is a very special place and that we are very privileged to live and work here. We do all we can to ensure that this is preserved for future generations. We aim to tend the vines and make our wines in as natural a way as possible. We have converted the vineyard to organic agriculture and encourage biodiversity by allowing wild flowers and plants to grow and provide a habitat for beneficial insects and other wildlife. This allows us to reduce any chemical treatments of the vines to an absolute minimum. In the winter we feed the vines with organic compost and the vine prunings are mulched back into the soil. Having produced wonderful ripe fruit in the vineyard we seek to interfere as little as possible in the winery so as to create naturally delicious, characterful wines. 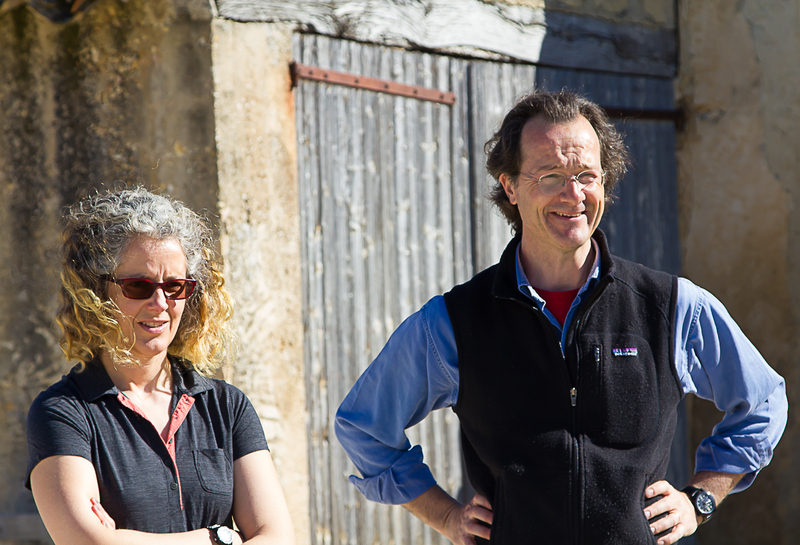 Our philosophy extends beyond the wines into everything that we do on the Domaine. The water for the Domaine is drawn from our borehole. We have a treatment plant on the Domaine for all waste water which renders it clean enough to be returned to the environment. In terms of energy use, the boiler for the main house runs on wood pellets. Les Marroniers has a heat pump and the main house and gites all have solar hot water heaters which provide all hot water needs for about eight months a year. The roof of the winery is also covered in photovoltaic panels which mean that the Domaine is a net generator of electricity.